This is the first publication under the name of the Prestbury Local History Society and does the Society great credit. Roger, and Michael Cole who edited and prepared for publication, deserve our congratulations and thanks. The book is meticulously researched and presented. A map is included and plenty of well chosen photographs. The walk is just over a mile and takes one from the Library, through Seven Posts Alley, Prestbury Road, Deep Street, High Street, Southam Road, Mill Street and The Burgage. 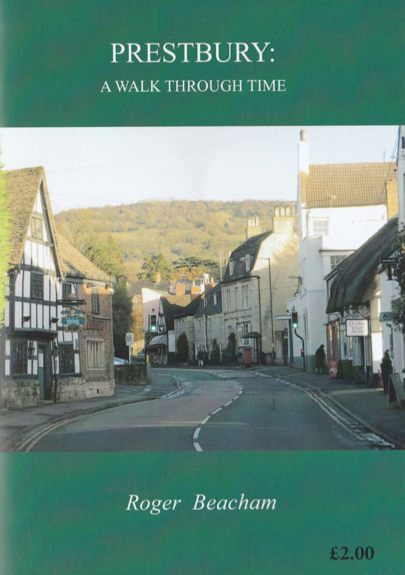 Roger provides a historical background to the village and some of the characters who figure in the story and then a history of all the significant buildings on the route and some of the people who have lived in them. At £2 per copy it is extremely good value and I suspect that we will find that our first order is insufficient to meet demand.